Rapper Folarin Falana Popularly Known As Falz Da Bad Guy Joins The Cast Of Tinsel Falz da bad guy [real names Folarin Falana] on Tuesday, October 11th, 2016, joins the cast of the hit soap series Tinsel as Kayode Beko-Williams, a young socialite with a heart of gold, as informed by the producer of the series. Known for his skills, the rapper comes into Telema’s life at a time when she yearns for such a person. The soap is stated to get more exciting with Telema being a hard one to break and as such Kayode’s patience is tested on a regular basis. “I’m excited about this one. It’s a serious role,” says Falz. 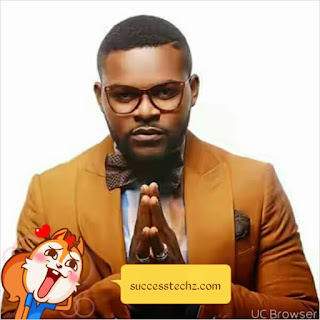 Falz won “Best Actor in a Comedy Movie/Series” at the 2016 Africa Magic Viewers Choice Awards for his role as Segun in Funke Akindele’s TV series Jenifa’s Diary.